Sometimes you want a burger and wings while other times you want a steak, seafood, pasta, or prime rib. If you want this plus a full bar and friendly people, you will find it at Calli Baker’s. It has long been a popular place for both locals and tourists. Walking through Calli Baker’s is like visiting a museum dedicated to public safety individuals. T-shirts, patches, and memorabilia serve as a reminder of the daily sacrifices of firefighters, EMS personnel and police officers. Patrons from around the world have generously donated much of Calli Baker’s collection. The décor is all “firehouse” and why not? The owner is an active duty fireman. 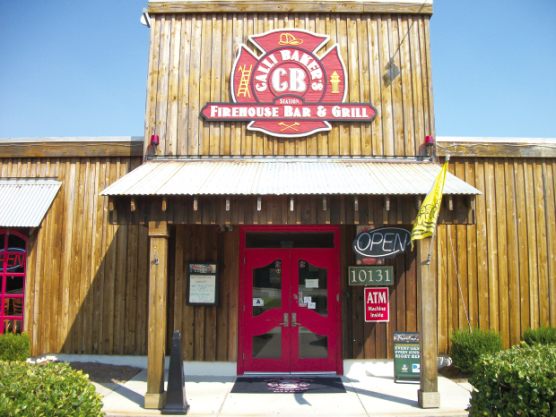 So, if you are looking for great food, great fun and a friendly atmosphere you must stop in and experience Calli Baker’s.